Fiery French chef Élise Philippe is having a seriously bad day. Not only have the grand opening plans for her beloved café fallen apart, but Sean O’Neil is back in town and looking more delectable than ever. Memories of the electrifying night they shared last summer leave Élise very tempted, but she knows all too well that eventually Sean will be leaving…again. Being back in Vermont—even temporarily—is surgeon Sean O’Neil’s worst nightmare. Returning home to the Snow Crystal Resort means confronting the guilt he feels about rejecting his family’s lifestyle years ago. But discovering that Élise is still in Vermont and still sets his blood racing is a very welcome distraction! Remembering last summer and how good they were together is going to make walking away more difficult than he could imagine…. This is book 2 of Sarah Morgan’s O’Neill brothers series and is set in a family resort in Vermont. I haven’t read the first book, and although it was apparent to me while reading this book that there was a previous book in the series, it was easy to start with this book as all the back story was very well explained. As mentioned above, this is the story of Elise, the French chef who works for the O’Neil family at Snow Crystal Resort and Sean O’Neil, a very respected surgeon. This was a lovely book about relationships. The relationship between Elise and Sean starts off as all fire and burn and sexual tension and develops slowly into something deeper. I have to say though that as beautiful as the romance was, just as beautiful were all the other relationships in the story such as the one between Sean and his grandfather, between the three brothers, between the women in the family – all the people in the book were so wonderfully interconnected. The dialogue between the brothers in particular was a lot of fun to read- the affection very apparent in a “Hey, look at knucklehead over here” way that only men seem to do. The tension between Sean and his grandfather as a result of his grandfather’s all encompassing love for the resort and Sean’s passion for surgery was also very well navigated and I felt in the end that the two resolved their differences really well. 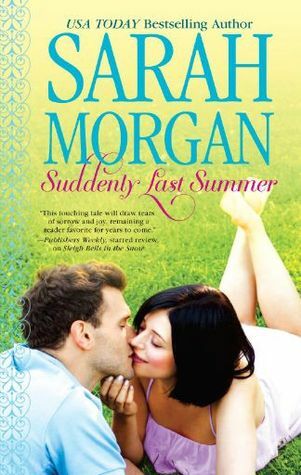 I love small town and big family romances because of how connected everyone is with each other (whether they want to be or not) and feel that Sarah Morgan did a really good job of it in this story. While there were funny moments in the book, I wouldn’t necessarily call it a light contemporary in the vein of Jill Shalvis or Susan Mallery. There is a lot of emotional angst in this book and some pretty serious emotional issues particularly with Elise’s back story. I really liked how individually they had to work through their own problems before they could get together. I did feel that Sean’s personal development was better described and resolved in the story than Elise’s but was happy with how things worked out for her in the end. I also really like how Sean had to really put himself out there and work for the girl instead of the other way around. All in all it was a very good contemporary romance with likeable characters and interesting interpersonal dynamics. It will be published on 24 June 2014. After a family tragedy, former football hero Jack McGarry keeps the world at arm’s length—a challenge now that his PR firm has moved to neighborly Fool’s Gold, California. Larissa Owens knows where she stands—Jack sees her as just another one of the guys. 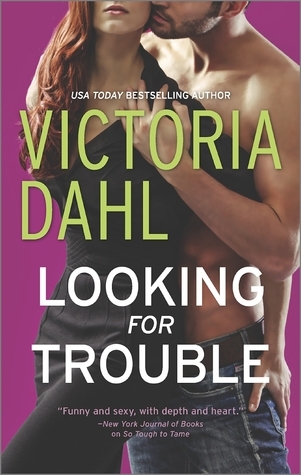 No matter what her heart wishes, Jack’s her boss, not her boyfriend. But then Larissa’s big secret is revealed…by her mother! When Jack discovers the truth about Larissa’s feelings, her touch suddenly becomes tantalizing, and he’s not sure he wants to resist. But if he gives in to desire, heartache is sure to follow. Friendship or true love—will Jack go for the ultimate play? 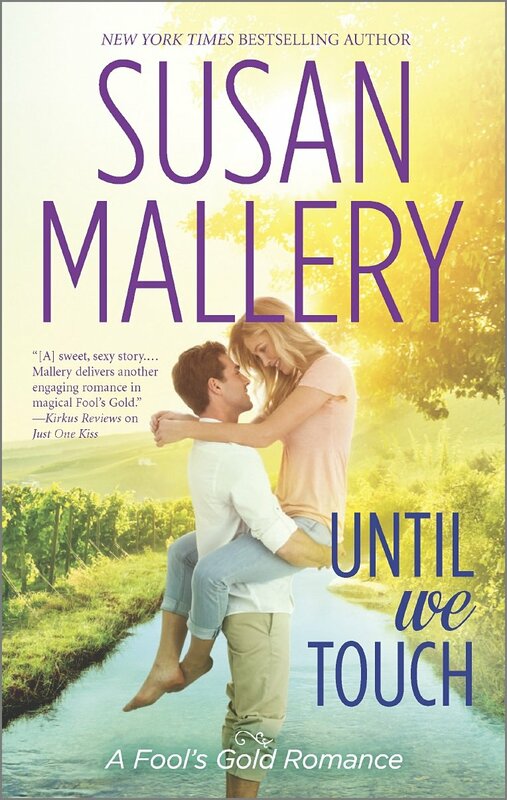 I am a big Susan Mallery fan girl. Her Fool’s Gold series in particular is a comfort read for me. I love small town contemporary romance. In one corner of my mind, Fool’s Gold is alive and well three hours out of San Francisco and next time I visit one of my favourite cities in the world I will simply take a weekend to drive out and visit some of my favourite characters. Her stories are warm, heart-felt, funny and make you feel like you had some really good champagne afterwards- all bubbly and effervescent. This is the story of Larissa and Jack, who we met in the previous books in this series. It’s an interesting dynamic between the two of them as they are best friends and have an employer/employee relationship as well since Larissa is Jack’s personal assistant (PA). She is also a trained masseuse and provides massage services for all the management team at Score, the PR firm that Jack part owns and Larissa works for. While I am talking about their work backgrounds let me get the stuff that I DIDN’T like out of the way as it is almost all related to the work part of the book. I was a PA for 2 years when I first moved to Australia so I found the fact that Jack was Larissa’s boss AND best friend interesting as the dynamic between a PA and her direct report is very different to that of say a junior marketing executive and the marketing director of the company. The job of a PA is ALL about making the life of your boss easier. Your entire existence at the company pretty much revolves around him or her. While I have been very friendly with my supervisors in the past, that line between employer/employee is a pretty firm one in that particular role and makes the balance of power in that relationship very uneven. It was interesting that it wasn’t more of an issue, but I was able to brush that aside as it is a small town and a small company so things may have been more informal. I DID have a problem with her being their masseuse AND Jack’s PA. Seeing her boss naked on a regular basis? Seeing all the other partners naked and having her hands all over them? Having one regularly get erect when she massaged him? Don’t get me wrong it was actually fodder for a lot of very interesting and funny scenes but it took me out of the story a little bit as I found it very strange and something I NEVER would experience in normal corporate life. Again, this is just my opinion and I think it is largely due to the fact that I WAS a PA and couldn’t imagine seeing any of my previous employers naked (Ugh). Now onto the things that I DID like- and there were quite a lot of them. The story of Jack and Larissa is a best friends to lovers story which is one of my all time favourite tropes. I LOVE the shared history, the friendship, the knowing all the bits (even the unattractive ones) about each other. I felt that there was a genuine affection between the two of them and could believe their happily ever after at the end because of the way they interacted before they fell in love. The opening scene of the book where Larissa’s mom interferes and talks to Jack and then blithely announces that Larissa is in love with him made me laugh and cringe at the same time. It was also, I thought, a really good way to not only start the book with a good laugh, but also a great way to move the two of them from friends to a couple. It worked for me because really, while they both protesteth their love for each other too much it did get the two of them thinking about it ALL the time. I think of it as similar to telling yourself NO I don’t want that chocolate bar, I DON’T want that chocolate bar, I don’t NEED that chocolate bar and… mmm, DAMN that chocolate bar was GOOOOOOD  Except in this case it was all sexual tension and love and longing and it was a lot of fun to read. Oh, and some really sharp and funny dialogue. I loved how the two of them would talk to each other. The conflict in this book was largely internal and had to do with both Larissa and Jack distancing themselves others and the different ways they do it. There were no explosions or hold ups or kidnappings just a lot of rescued animals and mixed dog breeds (chiweenies, who knew?). I liked that they both had to work on and realise things about themselves before they could be together. Jack, was a very likeable hero all the way until he hit that wall of all his past issues and boy, when he started burning his bridges he did it in a BIG way. I winced through that whole section of the book, but it did make the ending all that much sweeter and heartfelt in the end. I already recommend this series to everyone I know who loves contemporaries and this addition to it is another one I would wholeheartedly recommend.